Hello guys being a while I update your guys on the topic IP and today am going talk more deep into this topic. First of all we need to understand that the designer of TCP/IP are well educated and knows more so they suite in five ranges of address called address classes, for the specific network uses and sizes. Changes in the internet since the early 90’s have rendered class full address more all but obsolete. One of the final eminent of class full address is the use of terms class A, class B and class C to describe common subnets. Below am going to put IP into their classes, subnet mask and also describe them please stay with me.
. Network ID portion: first octet. Node ID portion: last three octet. In wide range the class A address is use for large network, and far too big for most companies. Large telephone companies and ISPs lease most class A network address in development of internet. Number of nodes per network : 65,534. Network ID portion : first two octet. Node ID portion : last two octet. Most organizations leased out the class B address for use o internet- connected networks. Initially the class B address were many to go around but later it get depleted. Network ID portion : first three octet. Node ID portion: last octet. Since there can be more class C network than any other type, they are therefore the only IP address generally available. Lets then talk about the classless addressing and CDIR. For the reason that the traditional IP classes have limitations on the number of availability address in each class, there are now various implement that utilize class addressing. in these schemes, there is no strict dividing line between the groups of address, and the network address /node address division is determine by hr number of 1 bits in the subnet mask. In other hand classless inter-domain routing CDIR is a classless addressing method that considers a custom subnet mask as a 32 bit binary word. Mask bit can be move in one bit increments to provide the exact number of nodes and network required. The CDIR notation combines a network address with a number to represent the number of 1 bit in the mask. With CDIR, multiple class based networks can be represented as a single block. There are different values possible for each CDIR subnet mask. The /24, /16, /and /8 CDIR mask correspond with the class full ranges of class C, class B, and class A, respectively. Please stay with us as will take you to IP subnetting in our coming soon post. 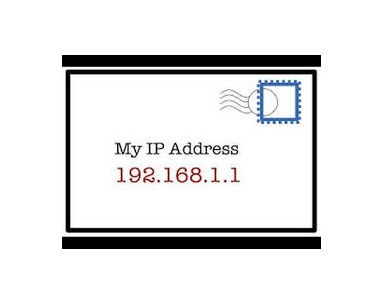 How to Configure IP Address. Subnetting IP Addresses Using Mathematical Formular ( Troubleshooting IP’s). I recently had a net working class and I learned about all of this. Your post was a nice refresher on the subject.